Phony Pharmaceuticals: Are Your Meds Knockoffs? The world of pharmaceutical products can be a shady business. What was once an area to protect the public and ensure their health and safety has now become something tainted and fraudulent. Medications from cancer drugs to Viagra have become counterfeit, and the Internet has made matters even worse. The reports are typically implemented by doctors, employees of the pharmaceutical companies, nursing staff or hospitals. The “higher ups” realize the problem is getting out of hand, but it can be difficult to monitor and regulate these issues efficiently. An example of this type of case showcased patients in Nigeria who were ill with malaria and were sold fake drugs to treat their illness. Since the drugs were counterfeit and found useless, many individuals died as a result of this. 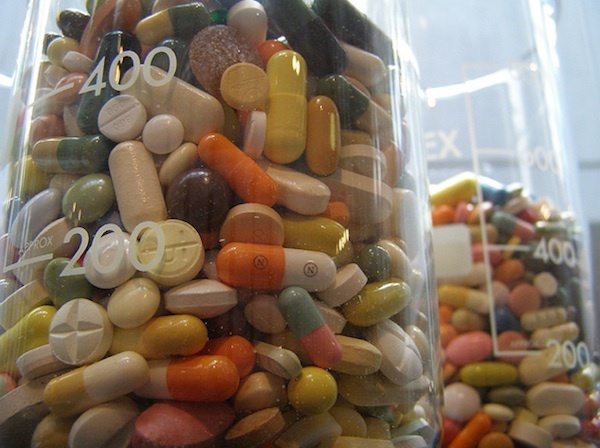 Certain drugs in the United States were found to be more counterfeit than others. Individuals who take cardiovascular medications are in dire need of the drugs. Instead of getting the right medication, many patients are getting a counterfeit dosage and not receiving the proper treatment that they need. Antibiotics, cancer drugs and ED medications are other pharmaceuticals that are not only counterfeit, they may also contain poison. The most common sources for fraudulent drugs come from India and China. In August alone, Scientific American reported that over $180,000 worth of fraudulent medications were seized in China. Over 320,000 people were killed during the course of the year due to counterfeit drugs and many seriously injured from the complications associated to never receiving the right medication. Patients think that purchasing a product overseas and without a prescription will save them money, but it’s hurting them instead. Unfortunately, the FDA inspects only 15 percent of the facilities abroad, leaving a large majority open for business. This can leave the consumer vulnerable and unprotected. Over half of the drugs sold through the Internet and those who hide their websites addresses to do so, are housing counterfeit drugs. Criminals and their organizations manufacture the products in unsanitary hidden rooms and warehouses. Instead of the patented ingredients that you think you’re getting, they contain chemicals, hazardous toxins and fillers. You can do a number of things to protect yourself such as never purchase a product from a site that sells prescription drugs without a prescription from your physician. You can also check online to ensure that you’re purchasing a product from a licensed pharmacy. So many individuals rely on their pharmacy and prescription drug carriers to give them the right medication. This ensures their physical and mental well-being and if they aren’t receiving the proper prescription drugs, they could experience serious complications and even death. Having to take monthly medications gives Nadine Swayne the understanding to write this article. At the Goldberg Kohn whistleblower firm, they represent consumers snared in the net of counterfeit medications and pharmaceutical fraud. Their lawyers have the experience and resources required to take on criminal corporations on behalf of their defrauded clients. 16 Responses to Phony Pharmaceuticals: Are Your Meds Knockoffs? What a scary thought! I’ve heard a lot about this though. We had an issue with our daughter’s med a few years ago. It was a generic brand that was DRASTICALLY different from the original product–the result was horrible! I really trust and respect my new pharmacist so hopefully no more near-disasters! My MIL almost bought fake drugs over the internet a few months ago. Luckily she got a bad feeling & stopped before she checked out- but then they started CALLING her & harassing her to finish the purchase! Scary. I do not think that there is a reputable pharmacy on the Internet. How do you know what you are getting if you buy a prescription on the Internet. I see some sites say get this drug without a prescription. That sounds to phony! People need to be very careful about getting their prescriptions filled over the Internet! This is just crazy! Thanks so much for the info. That’s just s scary to think about. That is SO scary — especially since there are a great number of people who go online, looking for cheap meds. Wow. I had no idea that generics could be so different from the name brand med. Thanks for sharing. Yikes that’s scary. I hope mine aren’t, I am pretty sure they aren’t having worked in a pharmacy.